Leaving the eastern coast, crossing the coastal mountains, and then driving across the fertile plains of the central highlands – we arrived in Launceston near the mid-center, northern coast. This is Tasmania’s big and most important wine region. 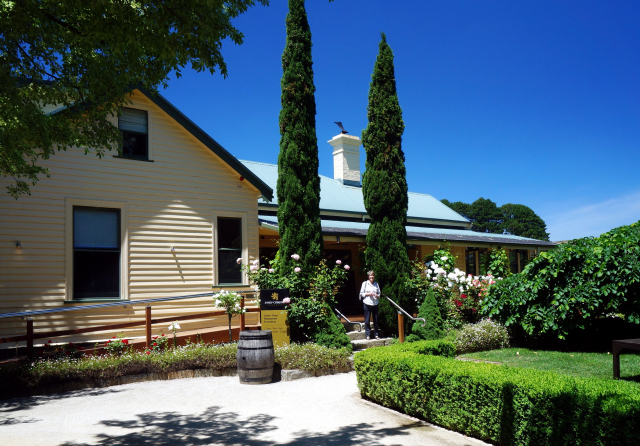 The cellar door at Josef Chromy was our first stop. Josef Chromy escaped the repression of Czechoslovakia in 1950. He was twenty years old and penniless. Arriving in Tasmania he went on to be become fabulously wealthy (a terrific story of its own). He was able develop his passion – winemaking - on an equally masterful scale. Tasting across the winery’s catalog, every type was equally marvelous. Josef Chromy is a large winery producing 100,000 cases per year. Sharing a bottle of Sauvignon Blanc at our hotel happy hour – it was the best Sauvignon Blanc we have every had. Truly a memorable experience.